Marvel is known for its elaborate and revealing post-credit scenes, and now, Marvel Studios head Kevin Feige explains where the idea for them came from. Talking to Entertainment Weekly, Feige said he was watching “Ferris Bueller’s Day Off” for the first time when Matthew Broderick’s characters pokes his head in after the credits and tells everyone to go home. Now, mid- and post-credit scenes connect all the franchise’s various superheroes and often times reveal things about upcoming MCU films. And we all remember the first post-credits scene from “Iron Man,” when Tony Stark is greeted by Nick Fury in his mansion and Samuel L. Jackson’s character tells him he isn’t the only superhero in the world. Some post-credit scenes come up during production, like the “Iron Man 2” tag where Coulson goes into the desert and finds the hammer, and for “Avengers,” the post-credit scene came to fruition when they were finishing up VFX shots and they put in a little shawarma shot when Robert Downey Jr. gets smashed into the ground. That’s why the Avengers assemble at the Shawarma Palace in the tag. 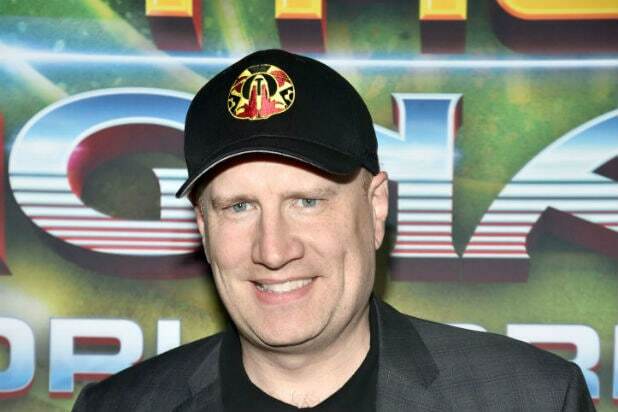 After so many post-credits scenes, Feige clearly has a favorite. “I love them all for so many different reasons,” he said. “The Nick Fury one obviously because it was the first. Two things that have happened as we have continued making our MCU movies is, I remember Stan Lee cameos, there would be a couple of people in the theater who would clap, and then there would be a couple more, and now every single person in the theater knows Stan and recognizes Stan. Read the full EW interview here.